Simply put...we publish brilliant business books. And we're not talking about your boring tomes of academic analysis - we're talking about exciting, engaging, inspiring books to make you better in business. From brushing up on the basics - honing your presentation skills, managing your time, running projects - to starting and running your own multi-million pound business empire! We love the cut and thrust of business, the creativity, the buzz of success and we strive to create books to edify, inspire and enthuse. We also do a mean line in personal development - so if you feel you're lacking in confidence, your work/life balance is all over the place or you could do with a boost to your brain power then you've come to the right place! We have all the expert advice you need to be the best you can be, work the best you can work and have the best business ideas you can have. Here at Capstone, we like to hob-knob with the best people - our authors are all renowned experts in their fields and have been helping people be better in business for years. And our authors don't just talk the talk...they walk the walk - these guys don't just sit at a computer all day writing about the theory of business, they're out there living it, making it happen. 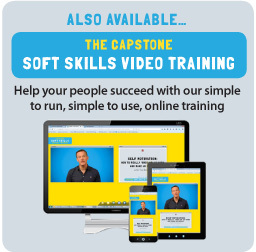 From multi-millionaire entrepreneurs to expert coaches and speakers; you're in safe hands with a Capstone author! We hope you enjoy reading our books as much as we enjoy making them!